Bird Watching & Human Watching & More Giveaways! Baby sparrows have been sitting on my windowsill and they peer in the kitchen window at me when I grab some more green tea. Normally, the sparrows take flight if they see me. But I had just put out seed, and a bunch of birds were feeding. The cardinal always captures my interest. But then all of a sudden, the birds all flew off. I thought I had spooked them, as often I do. But it wasn’t me this time, because the birds all landed on the shrubs, or at least the younger sparrows, and I took pictures. This was what spooked them. And so I was able to take a lot of pictures of the sparrows sitting atop the hedge right outside my window. Even the cardinal drew closer and was sitting atop a chair. But unfortunately, my focus ended up being on something else, and he’s all blurred. Which was a disappointment because he was so close, and watching me. And so that’s my moment of getting a cup of green tea while the world around me is alive and well. Now, for more prizes in honor of our upcoming release in 4 days!!!! In the paranormal box set, we have lots of fun reads about everything paranormal under the sun. I have vampires in this one. Have you read any of my vampire books? Deadly Liaisons? Forbidden Love? Huntress for Hire? 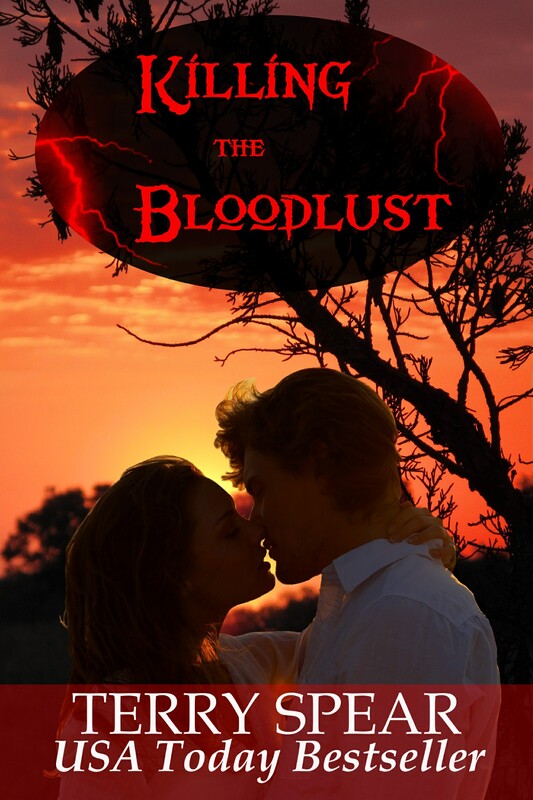 Killing the Bloodlust? 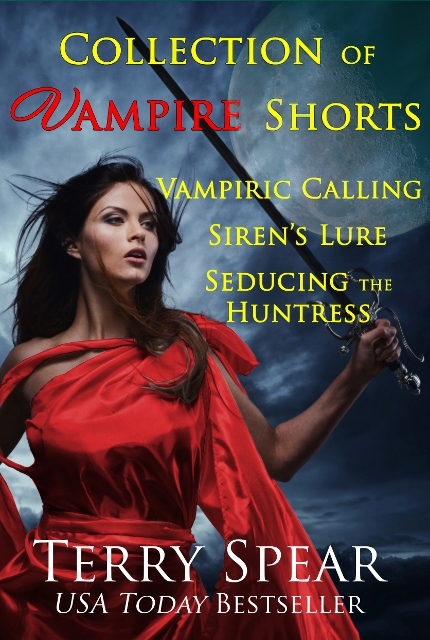 The Collection of Vampire Shorts? Or a young adult? 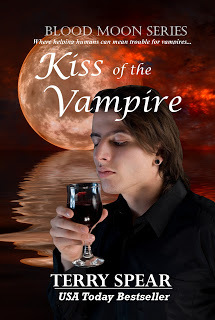 Kiss of the Vampire? The Vampire…In My Dreams? What happens when a huntress can’t hunt? 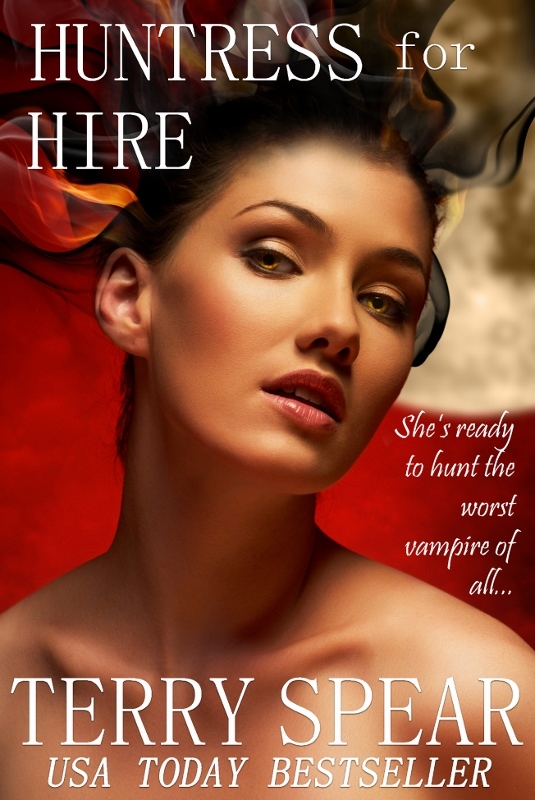 Huntress for Hire is in the box set. But I’ll give away an ebook copy of Forbidden Love to a reader who tells me why you love my vamps, or why you just HAVE to read one? We need 50 reviews, I’m told on the box set. So if everyone that reads it can give us a review on Amazon or Barnes and Nobles, Goodreads, etc, we will be thrilled. Thanks!!! And a lovely review for Her Highland Hero! Marcus and Isobel want to be together, but there are many forces keeping them apart. Isobel’s father wants to marry someone else, Marcus is nearly murdered, and there are dangerous secrets. I enjoyed this story, especially the relationship between Marcus and Isobel. Marcus will do anything to keep his Isobel safe. I recommend this for anyone who likes their romance with a good dose of Highlander. And errands. Hate errands. They take so much of the day. And we had RAIN! And lots of it. We really desperately needed it. More today and the next few days. Yes! 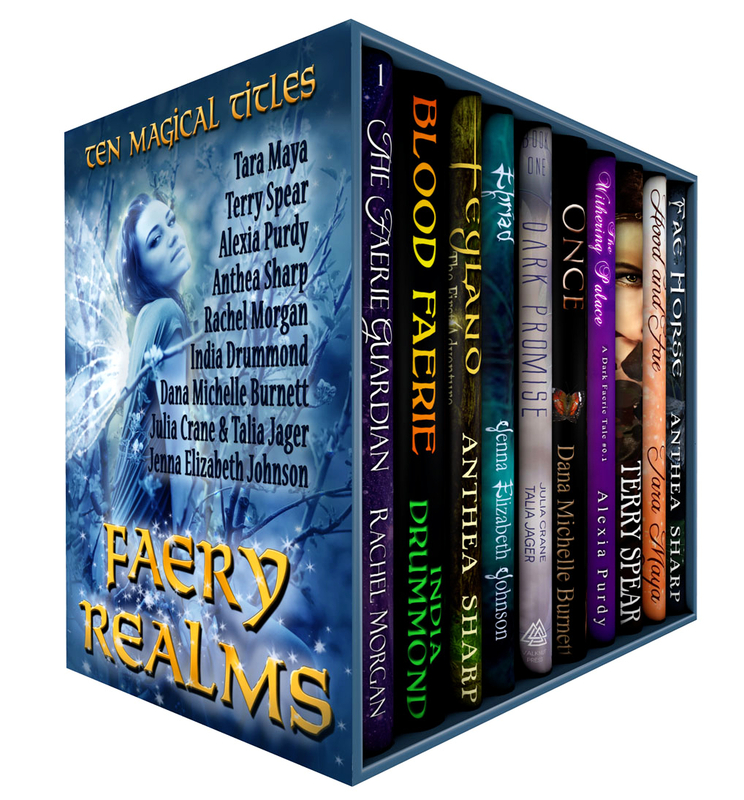 Great Reviews for the Dark Fae, 99 cents in the Faery Realms Boxset! I loved this! I was enthralled, enchanted and enamored by this lively fae story that moved fast and kept me riveted from beginning to the end. There just weren’t any dull moments. The characters were fun and each was on a trip of self-discovery. This is a story that would be perfect for tweens and teens . But… it’s not just for the young. I really enjoyed it, too, and I’m in my 60s. The characters shined! Alicia was raised as a human who could see the fae. All she knew about the fae royal kingdoms, she had learned from her father’s journal. As she and her friend, Cassie, were vacationing on South Padre Island, Deveron, a dark fae. made a move on Cassie. Alicia literally pours cold water on him to put a halt to his shenanigans. Deveron decides that he will enjoy paying her back. He might be surprised, though, to find the tables turned on him. 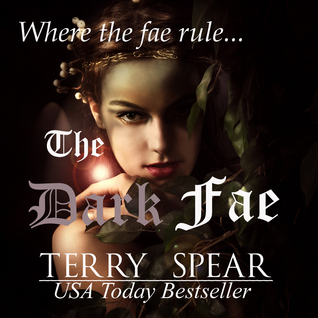 Loved this fun review of The Dark Fae also! The Dark Fae, which is book 1 of the World of Fae, is included and has never been on sale before. 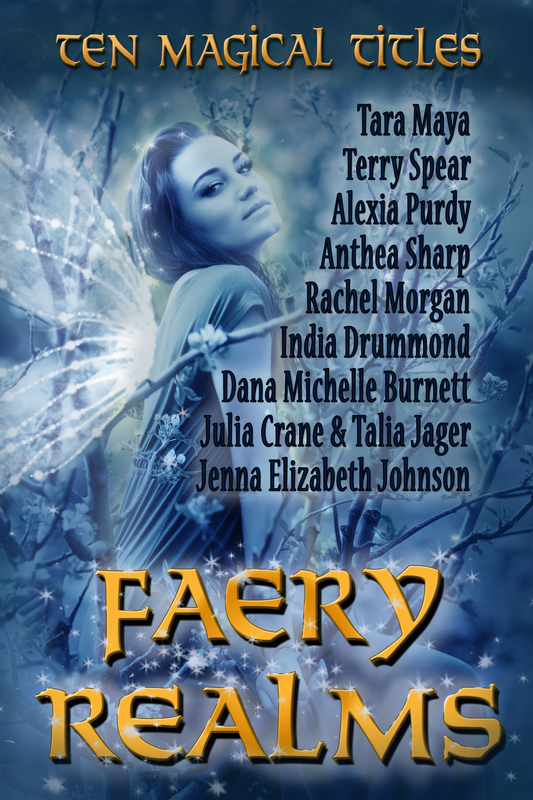 So…for 99 cents you get ALL these fae books by several different authors! Enjoy the world of the fae! At 45,000, and counting! 25,000 words to go on Her Highland Hero!